Sao Paulo, April 3, 2013- Tampa Cargo and Taca Cargo, cargo business divisions of Avianca Holdings, together with Avianca Brazil’s cargo division, will present on April 4 at the 19th Edition of the Intermodal Trade Show 2013 in Sao Paulo, its service offer for transportation of goods. The fair, one of the main events in the world for the sectors of logistics, transportation of cargo and foreign trade, is expected to gather 45,000 visitors, more than 600 exhibitors from 22 countries and the main transport service providers from around the world. On this occasion, Tampa Cargo and Taca Cargo want to promote their wide route network through a connectivity that covers all of the Americas and Spain. By managing the capacity of the bellies in Avianca and Taca's passenger aircraft as well as the freighters fleet, exporters and importers can ship their cargo to more than 117 destinations. Additionally, Tampa Cargo will introduce its new cargo fleet of Airbus A330-200F. Two of the four aircraft requested have already been incorporated, within the project framework responsible for the modernization and standardization of the company's fleet. This new fleet, makes the company the first to operate this kind of aircraft across America. The incorporation of these aircraft represents an increase of almost 50% in the capacity offered. They have a temperature system by sectors that allows them to transport different types of cargo; they also have greater efficiency in flights of longer distances and are environment-friendly, thanks to a reduction of CO2 emissions and noise. 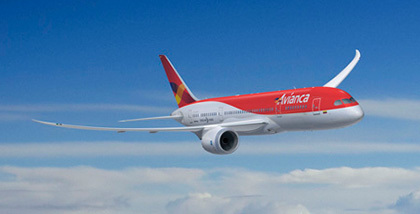 Victor Mejia, Vice President of Cargo for Avianca Holdings, said that "Brazil is a very important and attractive market for the transport of goods. Currently, we have a market share of 12% from Brazil towards our routes in Latin America, and we hope to continue to grow in 2013 by increasing the cargo originating from Manaus, Curitiba and Viracopos toward Colombia and United States." Tampa Cargo and Taca Cargo, attending the Intermodal trade show for the first time, will continue strengthening the cargo operation in 2013 in all its markets, through increased capacity, specialized services and its extensive route network.